Leggings via Lot801 // Moccs via QuailLaneCo. 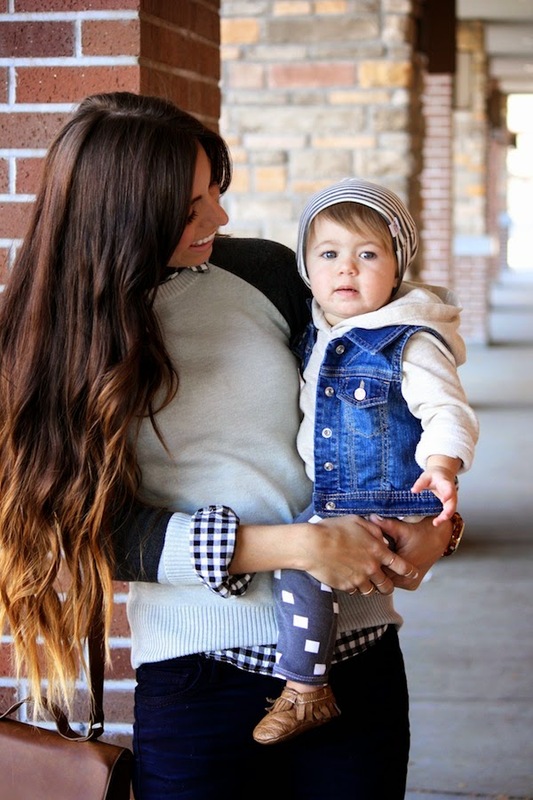 I have a little guest star in today's post and she's kind of stealing the show! While we were taking photos she wanted to be a part of it so I, of course, had to include the cute little munchkin! She is growing so fast and it's blowing my mind that she will be turning 13 months in a week! She's been taking her sweet time walking, but is just as cute and sweet as ever and still keeping me plenty busy! 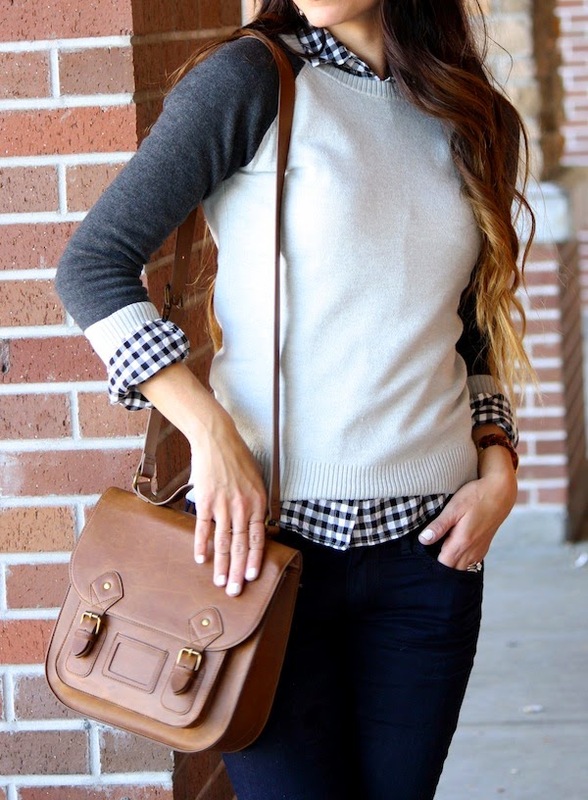 This is also one of my favorite fall looks thus far! 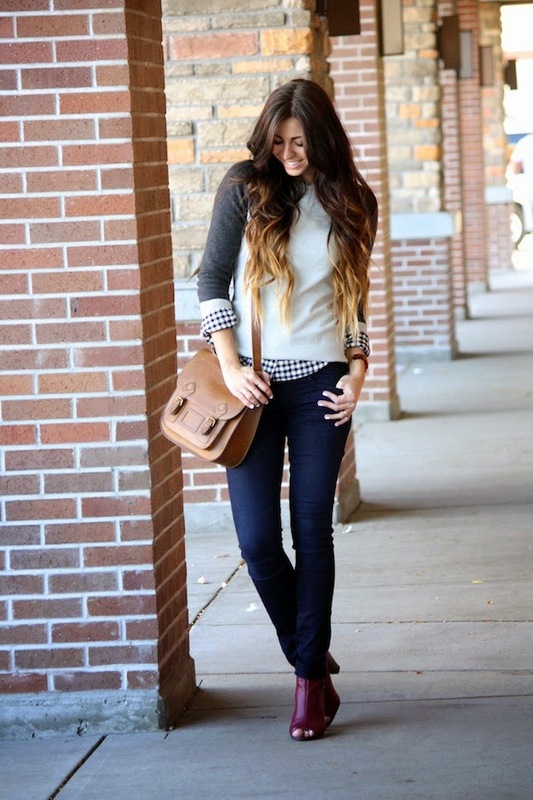 Sweaters and booties are back and these are a few of my favorites! Also, if you follow my instagram you may have seen that I got a chance to go shop some of the new fall items at the True Religion store at City Creek and these jeans were one of my favorites! Thee perfect pair of dark skinny jeans- just the right fit, stretch, length and everything in between! I tried them on and they fit like a glove and were so comfy I could literally sleep in them! 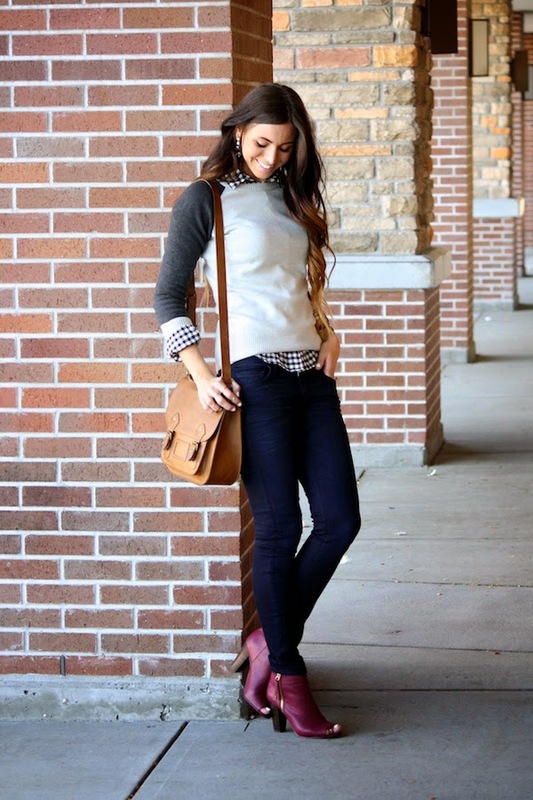 They have perfected the skinny jean and are worth every penny! I hope you're all having a lovely week so far!! Love this post! You look is amazing and Olivia looks SO cute!! AWW, this is so so cute!! & that H&M bag is such a steal! Isn't it?! 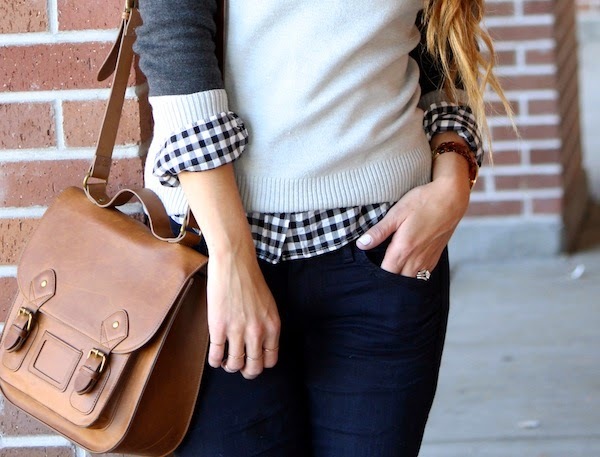 I get more compliments on this cute $30 bag than I do on some of my bags that are hundreds of dollars! Such a fun bag too! Thanks girl! She has gotten so big! You both look beautiful. Tell me about it! I still can't believe she's over a year old! Thanks girl! So I nominated YOU for the Lovely Blog Award. Oh my word, how cute!! ... U dressed her as a lesbian? I'm a little disappointed in this comment. Not only is this offensive to me but it's offensive to anyone with a different sexual orientation. Also, just because I don't dress my little girl in head to toe pink definitely doesn't mean that it's a negative thing. I basically dress her the way I would dress, and yes, I constantly wear hoodies and beanies. Wow and they were brave enough to say this and remain anonymous. Gotta love the cheap shots hidden behind a screen. I think she looks adorable Robyn. Cara Delevingne is a lesbian and she has impeccable style. So apparently someone didn't do their research.